There is such a variety of Wisconsin Biking Trails to explore and enjoy. With Wisconsin's diverse seasons, you can ride all year long. Yes, even winter, as fat tire biking is now all the rage. However, since it is spring, we will save the winter sporting for another blog post! Now, you may have your favorite trails, but discovering new ones is so much fun. No matter what part of the state you may want to visit, there is sure to be a trail that will match your adventure level. Therefore, we have put together some of our favorite finds that span much of the state. Nothing beats biking that combines beautiful scenery, exercise, touring, and exploring. Some things just seem to go together and biking and B&B's is one of those must-do's. Why? To start with, Innkeepers make it their job to know their area. They have all the innsider tips of favorite biking trails, scenic outlooks, and off-the-beaten path recommendations they love to share. Many of them are outdoor enthusiasts too, making them the expert. As a result, they will also know where to go for grabbing a cool beverage, lunch, or a special shop, close to the trails. Besides that, nothing beats returning to the B&B after your afternoon of touring these Wisconsin biking trails. 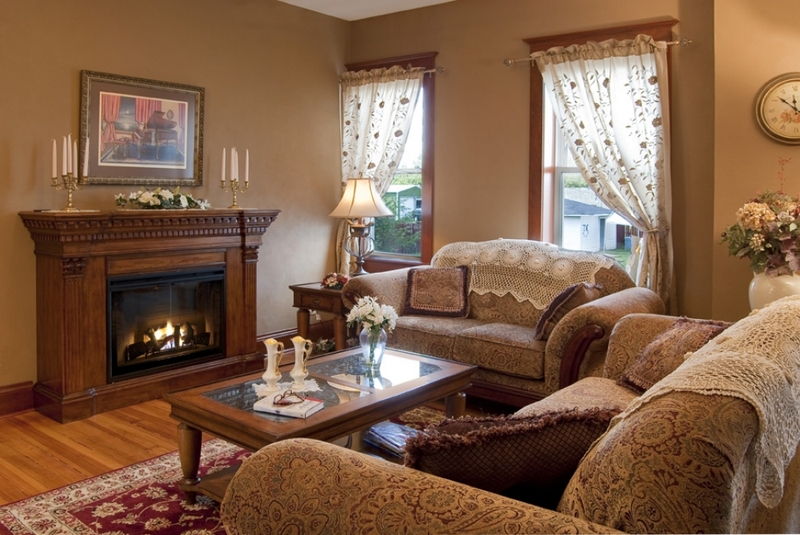 Innkeepers often provide beverages, snacks, and a comfortable place to enjoy them. 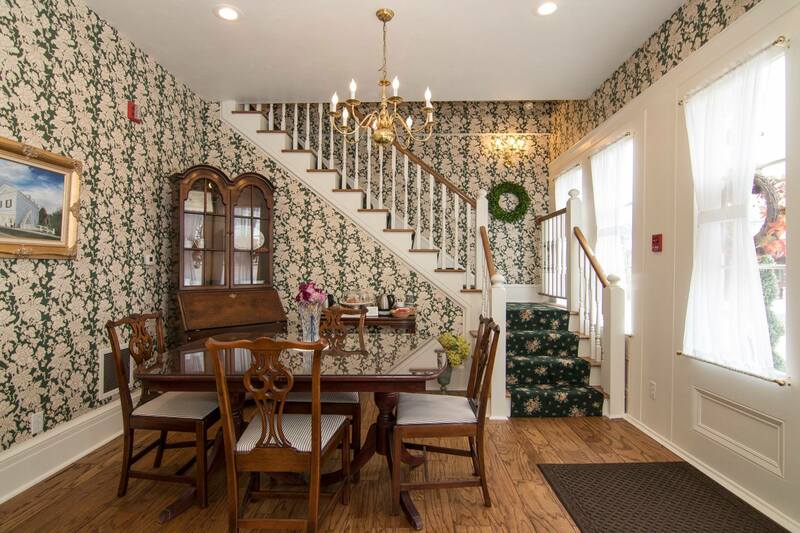 You can enjoy sun tea on the patio or a glass of wine on the covered porch before dinner. A restful night sleep, followed by a gourmet breakfast, is just what a B&B offers before starting your next day's adventures. Tip: ask if there is bike parking; many times B&B's have a space for you and your bike! Pedal’rs Inn - Wales: The Glacial Drumlin State Trail is right at their front door. For the more adventurous biking, the beautiful roads of the Southern Kettle Moraine provide wonderful routes and scenic views. Surrounded by beautiful Waukesha County, the state and local county parks have beautiful trails for mountain biking, hiking, and cross country skiing. Rochester Inn - Sheboygan Falls: The Rochester Inn is located near the Kettle Moraine State Forest. This is home to fantastic hiking, biking, and cross-country skiing. For avid cyclers, the Old Plank Road Trail is just minutes from the Inn. 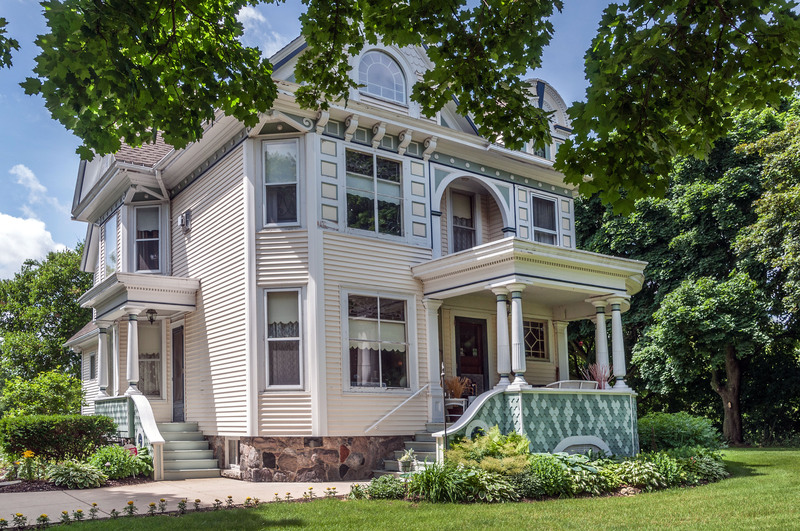 This makes The Rochester Inn your ideal getaway location to enjoy all of the recreational opportunities that Sheboygan County has to offer. 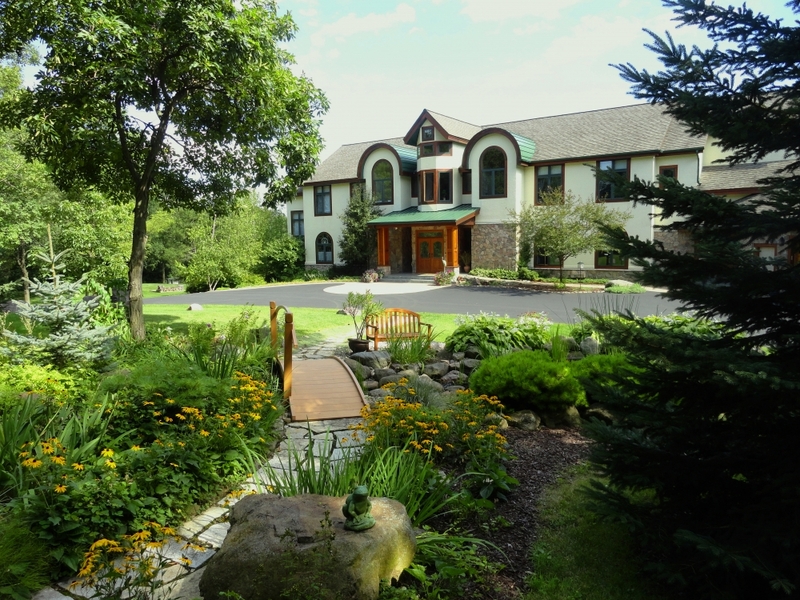 Inn at Wawanissee Point - Baraboo: The topography surrounding the Inn at Wawanissee Point attracts road and mountain bicyclists of all skill levels for training, races, and pleasure. Right next door to the Inn, you can experience challenging mountain biking and racing at Devil's Head Resort. At Devil's Lake State Park, there are 29 miles of hiking and biking trails including 8 miles of off-road bike trails. Similarly, the scenic, rolling hills of the Baraboo Bluffs will offer endless winding paths through vistas and shady glades with some challenging hills. Fountain Chateau - Hustler: The Omaha Bike Trail - This beautiful trail was originally the Omaha Railroad. The bike trail connects right next door to the Fountain Chateau B&B. Here, you can take a walk or a bike ride all the way to Elroy and the world-famous Elroy-Sparta State Trail, as well as the 400 State Trail. 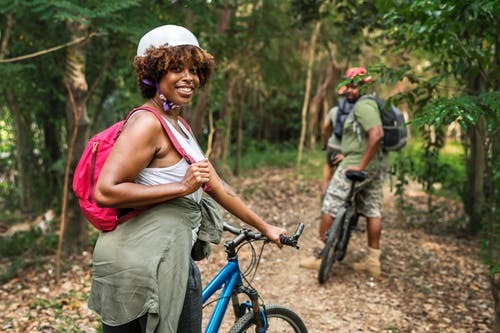 Whether you are a serious cyclist or someone who enjoys a leisurely pace, you will love this 12 mile, seal-coated bike trail that features an 875′ tunnel. Finally, when you take the time for a getaway, you want to maximize your experiences. Therefore, the WBBA has put together 7 categories of experiences. Make sure you check out the Area Experiences page of our new website. From "Hiking, Biking, Running" and "Water Sports", to "Birding, Wildlife, Nature", you will be sure to find reason to getaway to a WBBA member Inn. Are you ready to Seek the Unique?